Shell beads There are 17 products. 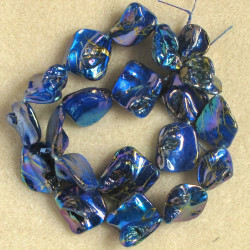 Shell Nuggett Beads, Pearlescent Blue Coated Embossed with a Gold Coloured Design, Approx. 19 Beads per String. Small shell coin beads. Pack of 20. 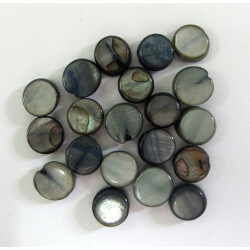 Small Shell Coin Beads, Grey/Brown Colour, Approx. 8mm Diameter, Pack of 20. 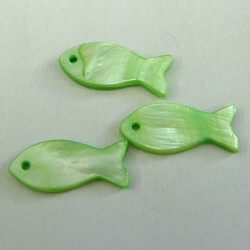 Green Shell Fish, Approx. 23mm by 10mm, Pack of 3, Hole is Eye of Fish. 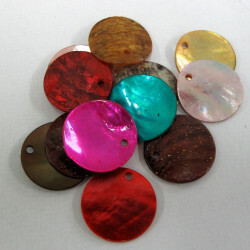 Shell Disc Beads, Mixed Colours, Approx. 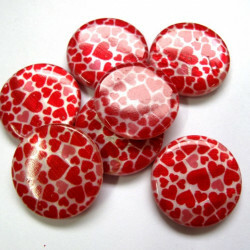 15mm Diameter, Pack of 20. 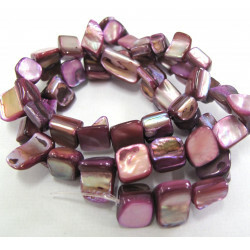 Strand of purple shell beads. 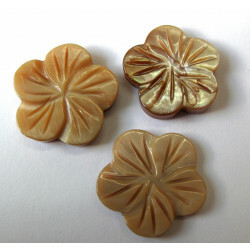 Shell Flower Beads, Soft Sandy Brown Coloured, Approx. 20mm Diameter, Pack of 5. 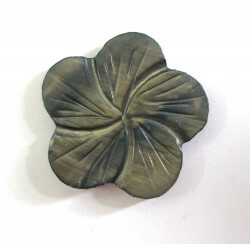 Pretty Carved Shell Flower Bead, Pretty Dyed Brownish Grey, Approx. 30mm Diameter. 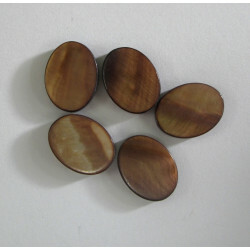 Flat Oval Shell Beads, Dyed, Not Natural Brown, Approx. 16mm by 12 mm, Pack of 10. 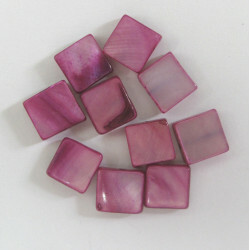 Pinky Purple, Square Shell Beads. Approx. 9mm by 9mm, Pack of 10. 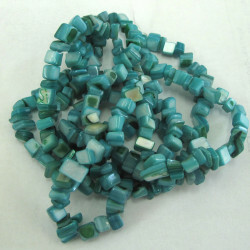 Long string of turquoise colour shell chips. 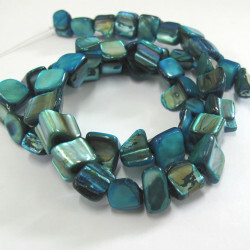 Long String of Turquoise Colour Shell Chips﻿. This Strand is Approx. 90cm long.